Perplexa soundtracks undiscovered realms. Their simultaneous intertwining of celebration and tragedy: a symphonic, tribal trance carved out with with ethereal guitar, luminescent strings and epic hypnotic grooves. 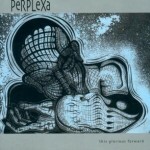 Perplexa is an American psychedelic band rooted in Detroit’s space rock movement of the ‘90s. 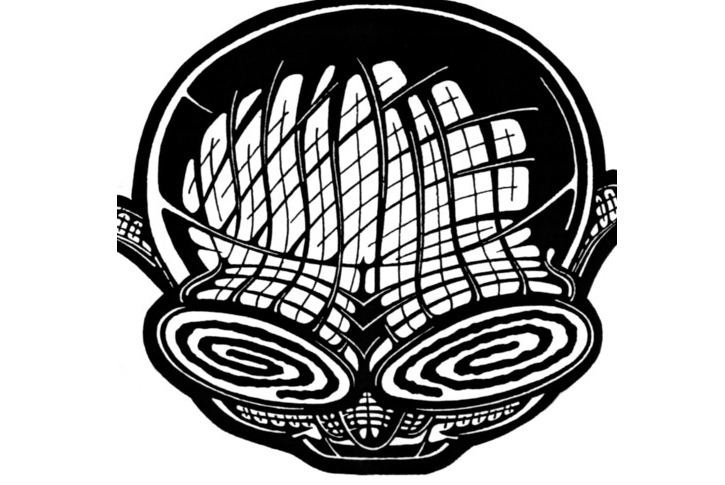 Perplexa began as an experimental basement collaboration of artists in Ann Arbor, Michigan in 1994. 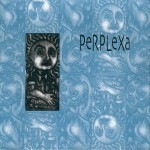 Band founder and percussionist Jonathan Wald (Couch, Freelove Babies), together with guitarist Robert Schurgin (W.I.G., West Indian Girl) and bassist Jenny Schmid, recorded the first album “Perplexa”, which saw release in 1997 on Detroit’s Small Stone Records. An EP, “This Glorious Forward”, followed in 1998. 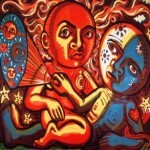 Wald and Schurgin were then joined by cellist Phil Myers for the group’s third album, “The Sun and the Moon Getting It On”, released in 1999. This album gained fair acclaim for its intense rhythms, dreamy moods and dark textures. Upon a move to Los Angeles, California, Wald and Schurgin immediately began to create their most expansive and ambitious recording, “Gone Beyond”. Years in the making, this long anticipated new release features cellist Phil Myers, bassist Chris Camacho (Forest for the Trees), bassist William B. Caruthers (Spacemen 3, Spiritualized, Spectrum, Freelovebabies), vocalist Lucia Iman, violinist Alix Koromzay, pianist Gordon Bowen, vocalist Eliza Doria, and bassist Jenny Schmid. This most recent incarnation sees Perplexa evolved into a mature creature with cellos for tallons and drums for a tongue. The unusual lyrical foundation of Jonathan Wald’s percussion style elevates this relatively little known band’s 4th album to a point of enchantment. This is Perplexa’s masterpiece. The music is beautiful, fascinating, bold and complex. Perplexa bears its soul with an outside voice, presented as luscious sculptures of progressive, chamber psychedelia. The band considers themselves an instrumental outfit, where vocals seem to hang like exotic ambiences even amidst words. This latest album is a powerful, musical exploration; a child born from the marriage of exhilarating joy and devastating depression which bed together after a long, passionate journey of creation. Perplexa’s skewed otherness could be said to drink of the same airspace as mid-80’s 4AD, Godspeed You Black Emperor; or Rachels. The first three releases are certainly worth seeking out, especially “The Sun and the Moon Getting It On”, which first uncovered the true depth of the group’s spacious capabilities. And it is this tonal compass that has now crashed Perplexa on the rocks of a weird, sonic Eden named “Gone Beyond”.